Isn’t it funny how you can look back over a few years and see how something creeps into your life, without you hardly noticing it, and now it has a huge impact on the way you live your life? This is definitely the case for me and mindfulness. My brother and his girlfriend bought me a book for my birthday a few years ago called ‘Mindfulness for Health – a practical guide to relieving pain, reducing stress and restoring wellbeing’ by Vidyamala Burch and Danny Penman. 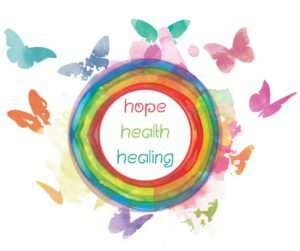 I remember being really sore that day and gratefully receiving it with that little flicker of hope that this could be something that would help me deal with days just like that day, when you need a little something extra…. And I was right to feel that flicker as it has become one of the ‘tools in my toolkit’ that I go to and use on a daily basis for keeping me grounded and balanced. I found what I read in the book so powerful that I have since taken part in a Mindfulness Based Stress Reduction course at The Bamboo Loft, Omagh, have a subscription to ‘Breathe’, a magazine based around wellbeing, mindfulness, creativity and escaping, and have found myself picking up little mindfulness based daily inspiration books and such like. I have constant reminders around me now to help bring me back to appreciating and loving my life, even amidst the pain. Mindfulness has the power to change the way you think, and taking just a few minutes a day can make a huge difference to your well-being, allowing you to step back from the day-to-day rush or pain or discomfort and use that time to listen to your thoughts. I will leave you with this little gem of daily inspiration…..
Find a bit of magic in your day. It may be the sound of the rain, the laughter of a loved one, the clouds in the sky or a quiet moment alone. Whatever it is – and however small – make the magic moment count. Acknowledge it, appreciate it, embrace it.